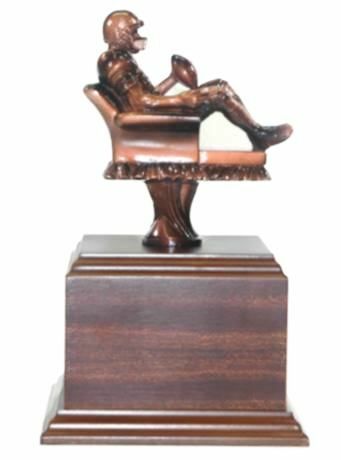 This is the Fantasy Football Guy who is sitting in a lounge chair, wearing a helmet and holding a remote and a football. This trophy stands 10 inches tall. 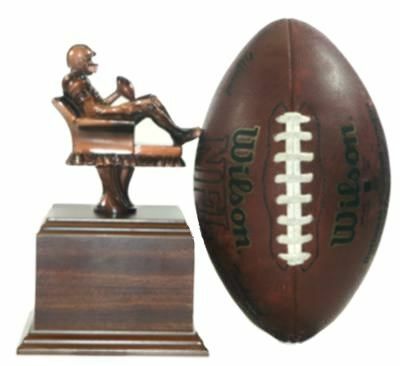 This trophy can have a side plate for a "Hall Of Champions" listing all of your leagues previous winners. The extra side plate costs $10. We create a file for your league and we hold your information so you can reorder an updated plate each year for the same $10.